2015 is Wilco’s 20th anniversary and they’re showing off. Last week they joined the Assertive Musicians Club by releasing a surprise album. But wait, they released it for free. And wait, they named it Star Wars. They did this the day before they headlined opening night of Pitchfork Music Festival in their hometown, Chicago. There’s a lot of cross promotion going on here. 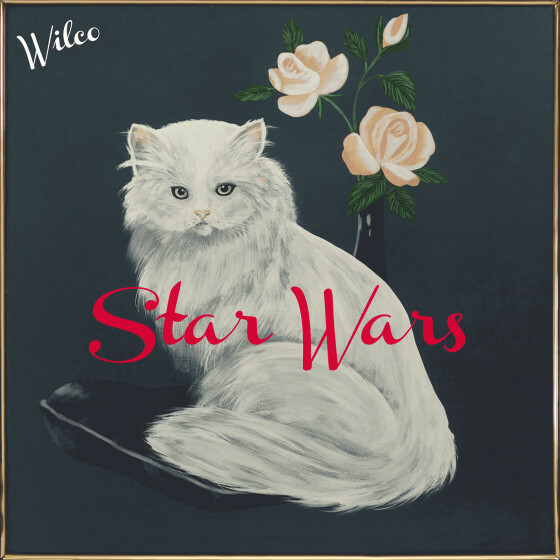 Star Wars is the shortest studio album Wilco has ever released, clocking in at just over 33 minutes. Wilco has always had some jam band in them and it’s not always due to the noodling of Nels Cline (which sometimes, I could do without). On Star Wars, the band is just stretching their wings. Album opener “EKG” is a dissonant instrumental track and it’s not the first time a Wilco record greeted us with the reminder that sometimes things can get weird. It’s not until the second to last track, “King Of You”, do we really see what they were heading toward all along. For a band that tours as widely, for a band that curated its own music and arts festival, for a band that plays a night of all covers requested by the fans, Wilco just wants to let their hair down. With John Stirratt and Glenn Kotche at the helm of the rhythm section (and it’s one hell of a rhythm section, see “Cold Slope”), Wilco is comfortable enough as a band to know now that there are no rules. We just have to trust them. Wilco fans and nerds alike are adaptable (see 2009’s Wilco (The Album)). We bend and flex with the band, because it’s more rewarding to let a Wilco record happen to you instead of waiting for it happen for you. Star Wars is available for free download here. It’s out on CD on dBpm August 21st and on vinyl November 27th.